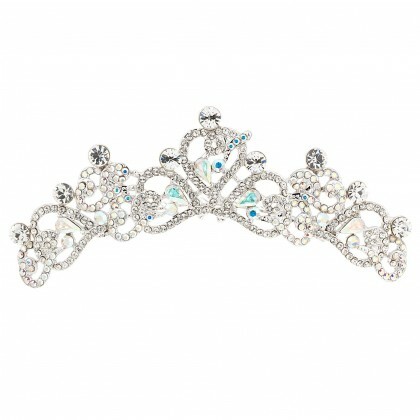 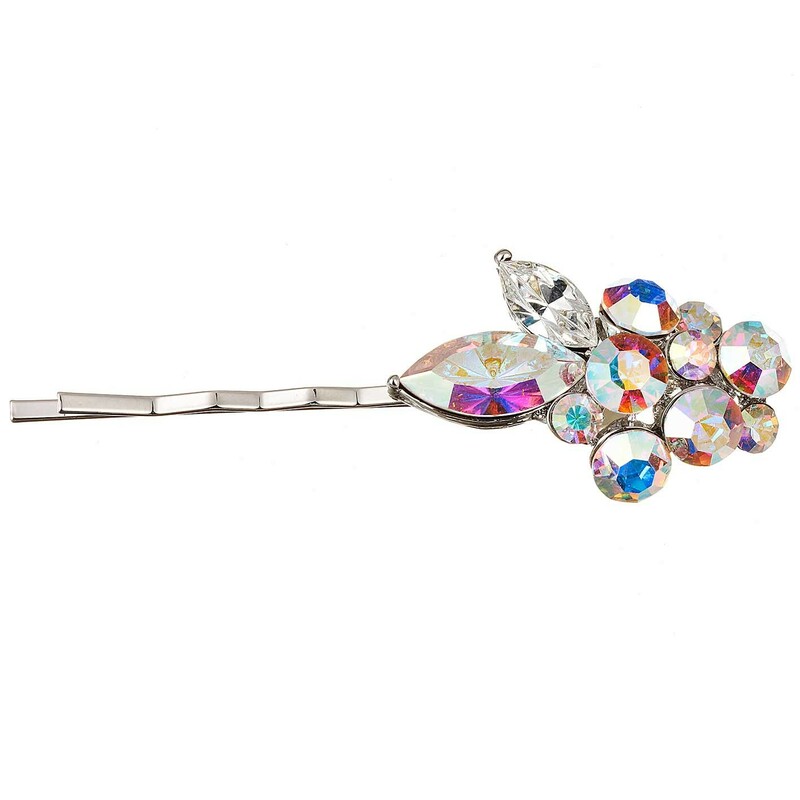 AB and clear crystal Swarovski crystals make this hair slide a sparkly addition to your hair style. 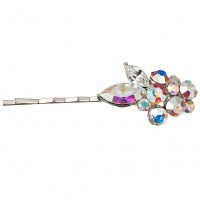 The slip on hair slide is 55mm length, decorative area 34mm with a width of 20mm and weighs only 6 grams. This small floral leaf slide-on hair slide is beautiful made from nickel free base metal with rhodium plating which gives a lasting silver effect polished finish.